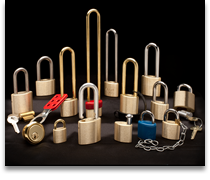 Weatherproof Solid Brass Padlocks Made To Last a Lifetime. Double Ball padlocks. Highest Resistance to Pulling and Prying. Lost Key? Personnel Change? 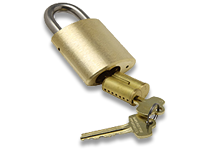 IC Padlocks Re-key in Seconds. Convenience and Control. One Key for Your Doors and Padlocks. Cylinders Adaptable to OEM Keyways To Integrate or Create Keying Systems. 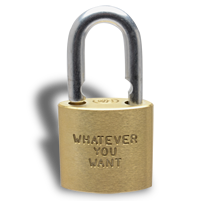 Customize Your Padlock With Name, Logo or Whatever You Want. 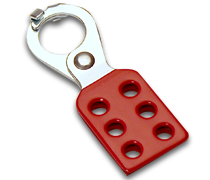 Wide Variety of Safety Lockout Products. Quickly ID Department Locks. Wide Variety and All OSHA safety colors. 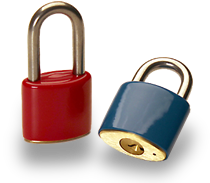 We Have Just About Every Padlock Accessory There Is. Unique Keys for Multiple Padlocks; One Master Key to Open Them All. 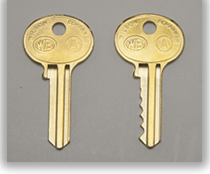 Factory Cut Keys For Your WB Padlocks. Or Blanks For Local Duplication. Wilson Bohannan padlocks have been manufactured for over 150 years to last a lifetime – and beyond. Today we are a 7th generation family owned and operated business specializing in high-level security locking mechanisms and key systems to maximize the protection of your entire operation. 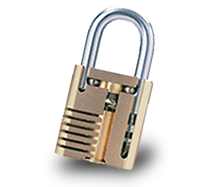 A true expression of American craftsmanship, the all brass WB weatherproof and rustproof padlocks thrive in multiple industries – construction, utilities, transportation, government, oilfield, military, heavy industry and everywhere in between. 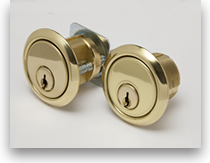 One or more of our extensive product line of Single-Bolt, High-Security Double Ball, Door Key Compatible Key-in-Knob, Interchangeable Core and Cylinder locks are sure to meet your security needs. Learn all about us - in 3 minutes! COLUMBUS – Ohio Secretary of State Jon Husted today announced the Ohio Business Profile Program will be featuring “Centennial Businesses” throughout the month of June. Wilson Bohannan has been as one of the business to be featured by the Ohio Business Profile Program. “To stay in operation for over 100 years, these businesses have experienced a lot of change from the industrial revolution to the technological revolution and they have adapted to meet the needs of their customers,” Secretary Husted said. Need one or a few padlocks fast? © 2019 Wilson Bohannan Lock Company. All rights reserved.